What's New in this Lightroom Release > Lightroom Classic Updates > Is Lightroom Classic end-of-life? Two days ago, Adobe announced a mass of confusing changes. I’ve already posted all of the facts, frequently asked questions and information you need, but many Lightroom users are worried that our traditional folder-based version of Lightroom (now called Lightroom Classic) is being phased out. Firstly, what’s causing the concerns? Is there any evidence to support or disprove the worries? Yes, Lightroom now has a little baby brother. But Photoshop’s had a baby brother (Elements) for years without getting killed off, so that doesn’t mean much. New babies are often the center of attention. It wears off. That’s more telling. They clearly see the new app as the future of Lightroom. But like any newborn baby, its current state gives few clues about how it will turn out when it grows up. Some say that sounds like it’s old and in its way out. Others prefer the dictionary definition of “recognized and established value” or “traditional”. The obvious solution would be to call it Lightroom Pro, but that would suggest the new baby Lightroom wouldn’t be suitable for Pros when it grows up. The fact Adobe avoided that suggests they plan on making the new Lightroom CC suitable for pro workflows in the future too. I think that’s reassuring. It’s true, Classic didn’t get a long list of new features. On the other hand, Lightroom users have been begging for performance improvements, editing improvements and bug fixes for years. They start seriously working on these issues and now we’re complaining? And why bother to work on these issues if they’re planning to kill it off soon? I can’t foresee the future, although it would be a handy skill. We can, however, learn from what they’ve done in the past. Let’s take Photoshop as an example. Adobe announced that future releases would only be available on subscription, but they kept selling the perpetual license of the old one. Once the vast majority of users had moved to subscription, they then killed off perpetual. They’ve just done the same with Lightroom, so there’s a pattern. What can we learn from this? Adobe makes some odd decisions at times, but they are good at making money. They don’t kill off a profitable part of their business until most customers have moved over to a new product. How does that help? Ok, let’s assume that they’re eventually going to kill off Lightroom Classic. History would suggest they wouldn’t do that until they have a viable alternative for the majority of their customers. It’s lacking important features. That’ll take time to develop, and they’re looking to the community to learn which features are most important to us. It requires fast internet. Either the majority of the world needs superfast internet, which would take a long time, or they need some kind of selective sync, or local network sync, or…? You don’t want some or any of your photos stored in the cloud, either for privacy or space reasons. Ok, selective sync again? Some kind of local storage only switch? Adobe hinted that’s already on their radar in their FAQ. 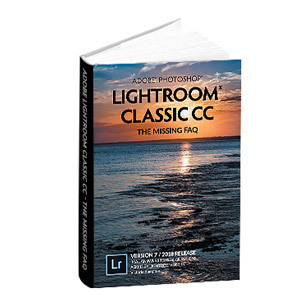 Once they’ve addressed these issues – and no doubt a few more besides – then potentially Lightroom CC could be a good fit for the majority of Lightroom users, and Adobe could be in a position to kill off Lightroom Classic. But that couldn’t happen overnight, so how long would it take? I don’t know. Technology moves fast, but that same time span equally gives other companies time to develop and improve alternative photography applications, so we have plenty of choice. My point? Even if we assume that Adobe is going to cease Lightroom Classic development at some point, there’s no rush to make a decision about what’s next. So many things can change in that time. Lightroom CC may grow up to be even better than Lightroom Classic – Adobe must have learned a few lessons along the way – or another company may bring out a new superduper competitor. I’m not saying that it is or isn’t going to happen – I don’t know the future any more than you do – but even if we look at a worst case scenario of our beloved Lightroom being killed off someday, logically there’s no reason to panic anytime soon. Dropbox have a nice setup, where it syncs to the cloud, but also over the network if another device already the original files, rather than uploading/downloading them again. I could see something like that being a great compromise, for those who want multiple device sync. There’s plenty of options out there, and the groundwork of LRCC would make it much more viable than previously. Well thought out post! But I think that eventually, LR Classic will be thrashed. Adobe will do what they are doing now: adding new features to the cloud version only, so that it will become more appealing. Then, when they have a solid base, they will get rid of the Classic version. I must be old fashioned, but I hate the fact that it’s becoming virtually impossible to buy software anymore, from any company. You subscribe to Adobe software and, after years of subscription fees, if you decide to terminate subscription, you have nothing, no more software to work with. It used to be that we could own Adobe software. Now, Adobe owns us. You’re not the only one to feel that way Jean-Claude. I agree. 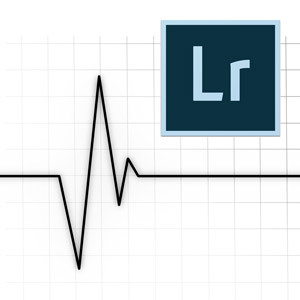 The name says it all – the end of Lightroom as we know it is coming ! Adobe will follow the money and dump Classic in the near future once they have a reasonable CC user base. I for one am already looking at alternatives. It is not only Adobe who is using this kind of subscription formula. Microsoft is also doing this with his Office365. And to be honest: can you blame them? In the past, how many licenses where not stolen, hacked or not-legitimate acquired? I know a lot of people using Lightroom and/or Photoshop which they didn’t buy. Do you like to work for free? Something that i have not seen commented on so far is that the new Lightroom CC user interface lends itself to touch. Microsoft have been wanting Adobe and others to make their legacy applications more amenable to working on Windows 10 in tablet mode. This new interface is way better in this respect than the very minimal attempt Adobe made to provide a touch interface in Lightroom Classic. That’s a very good point, I hadn’t thought of that. Much of the UI replicates the iOS/Android apps (or actually, the mobile apps replicate LRCC) which is obviously already built for touch, but touch Windows devices is a very interesting point. And Apple screwed them with no flash on the iPads and iPhones. Well thought-out summary. The Cloud can mean several things. After all, the “cloud” is simply a server farm accessible over the internet. I could easily havemy own “cloud” by simply linking wirelessly (or however I choose) to a (set of) external disk drives. The transition to CC looks inevitable at some point in the future, but as you mentioned it won’t happen overnight. I also think you are right that there will be many, like myself, that will be insistent on having our photos locally available as well as synced to the cloud. I don’t think there will be many pro photographers who will be willing to trust a big corporation with their only copy of their most valuable assets. Some form of sync will be necessary for pros to make the switch to CC as well as all the functionality of LR Classic. On a side note: It would be great if you did an article about how we might best use CC for our travels and sync those images with classic when we get back. > I also think you are right that there will be many, like myself, that will be insistent on having our photos locally available as well as synced to the cloud. Absolutely. There’s no way I’d only have my photos in one place. I think they’ve already understood that though, because even the new baby Lightroom CC has the ability to keep all or some photos locally. > It would be great if you did an article about how we might best use CC for our travels and sync those images with classic when we get back. It’s on my to do list. I’m not sure exactly when I’ll get time to write it, but it will get done. Why does this move feel so much like Adobe is leaving the pro market? > Why does this move feel so much like Adobe is leaving the pro market? Because it’s unsettling when stuff changes. They are clearly wanting to add the huge amateur market, but that shift started in 2012 with LR4. I think the continued development of editing tools will prove whether they’re serious about pros too. Amazing to think that ligjtroom is 10 years old and for the last 5 years all of the development has been in creating a replacement. The desktop version has seen some improvements but look at the state of the book or slideshow or web modules or video handling capability. So much potential, so little action. And now we are told that Lightroom Classic will be developed alongside CC, which means another 5 years of basically no progress while CC catches up. It hasn’t been 5 years of development on the new LRCC Nigel, but I agree progress has slowed over the last few years. I’m actually quite encouraged by the fact they’ve officially split it into 2 separate teams of engineers, as they’ll each be able to focus on their own task. There’s no reason to get all logical and do some calm thinking in the midst of a good emotional roast-fest !!! What you are seeing here is a classical American move towards the money. Like our current President “The Donald”most American companies have no overall purpose or goal, no underriding philosophy except Making Money and Winning. The Beancounters at Adobe have no doubt noticed the Walmart Phenomena. To whit rather than commmitting to quality products aimed at a descriminating niche market Walmart offers junk to the masses. “Serious” photographers and/or professional photographers represent a tiny, tiny, tiny portion of the photo market. Worse yet they are “demanding.” Whereas the average home photo hobbyist deals with balky software by pressing Cancel and moving on to a function that does work the pro actually complains when something doesn’t work. Hard as it is to actually contact a live human being at Adobe I’m sure one or two brave souls manages to penetrate the corporate armour from time to time and quite frankly they are a real nuisance! Add to this the current move towards smart phone photography (there’s a real oxymoron for ya) and it becomes quite clear that the Real Money lies in the Walmart approach, not the long term commitment to producing quality, gimmick-free software that serious photographers dream about. I’d say I am looking elsewhere for software but I don’t want to give the scare of their lives…nor do I want to hear them laugh! Great post! I just refuse to believe that they will “kill” Lightroom Classic – and yes I have a hard time saying “classic”. I think it’s safe to say that the majority of professional and serious amateur photographers use Lightroom. And I think it’s safe to say that the majority of that majority will prefer Lightroom Classic (still cringing when I say it…) And there is just no way that Adobe would alienate that many people…. right?? I am personally quite happy with the recent updates as I’ve noticed a significant improvement in performance and the new luminance/color mask is a very welcome tool! Thanks again for the great article! Affinity Photo is also worth looking at. If it does everything you need, brilliant! Obviously it doesn’t have the same feature set as Lightroom, so it won’t be the right choice for everyone. How are you finding stability, as I seem to hear lots of complaints about it crashing? “I’ve been using Photoshop since the mists of time, but I’d really like to escape from Adobe’s clutches, especially since they’ve been forcing us into the cloud. So I downloaded a Capture One Pro trial. Sheesh! All I wanted to do was open a raw file, process it like I do in Camera Raw and Photoshop, and save it as a TIFF in another directory with a new name! But I was confronted with libraries, catalog(ue)s, sessions, albums, smart albums, recipes, templates … all things foreign to me. After several hours working late into the night trying to come to grips with it, my head began to spin, so I gave up for the day. Fresh today I’ve taken several deep breaths and I’m going to try again, after looking at as many online tutorials as I can find. Saying you like Adobe right now is nearly as dangerous as saying you like a particular politician! 😉 But it’s not the first time I’ve heard those sentiments. Each programs has its pros and cons, and we each get to decide which is right for us. At the end of the day, they’re all tools, and having choice is a good thing for all of us. The way how Photoshop is working, in terms of organisation and workflow, is definitely different compared to Lightroom. Terms like catalog, Albums, Smart Albums, etc. are more common to LR users then PS users. It’s a great article. But I am still worried. I don’t see Adobe listening to professionals photographers, I don’t feel they have been doing for years. Let’s take one example. Keywording. One of the most important features for many pro photographers is keywording, the ability to find your images again or for others to find them if you do stock photography. Keywording in Lightroom is painful and despite the fact that many of us have been crying out for improvements the system hasn’t changed since V1. Not only that but a with the new non-Classic version the keywords entered there don’t even sync back to Classic. We are going backwards. Will I be ditching Lightroom Classic? Not yet – for a professional with 235,000 images in my catalog, it’s the best option available at the moment. Non-classic and other supplies can’t handle that number of images. But once ONE of the competitors can cope with catalogs that size, it may well be time to move. Oh yes and the idea of doing anything cloud-based is just laughable to me. For parts of the year I’m working on cruise ships, during that time my laptop may not see an internet connection for upto 6 weeks at a time. I already have problems when Lightroom and Photoshop sometimes forget that I have an annual subscription and I’m locked out until the next port when I have to take the laptop ashore just so I can log into my Adobe account to be able to run the software I’m paying for. You make use the phrase that Adobe won’t drop ‘classic’ until the alternative is suitable for “most” of their customers. What happens if you are a photographer who finds themselves outside of “most”? We will be left all at sea (literally in my case) with no workflow software. THAT’S what worries me. Yeah, keywording improvements have been a popular request for a while, although I’m seeing fewer requests for it these days. The vast majority of requests and complaints I’m hearing these days are surrounding performance, so they fact they’re taking it seriously makes me think they are listening now (even if they haven’t been listening properly for a while!). Their audience has certainly changed over the years – while it started out as almost solely professional photographers, Lightroom’s used be a much wider range of photographers these days, so the requests are more varied. I don’t the keywording (and metadata) requests have got fewer, I just think that the growth of photography as a hobby means that the voice of the professionals is just getting lost in other requests. Also, the keywording issues have been fully documented and suggested years ago. (Larger keyword sets, keyword ordering, ability to manage the hierarchy, stopping/managing keywords imported from 3rd party images etc). I don’t know if Adobe ever consults with influencers like yourself, but if they do please mention keywording and metadata – it is huge issue for us stock photographers. The performance improvements they have made are wonderful and long-overdue. I however am also in that camp that would like to see the keywording aspect addressed more fully. I think they are hoping that this intelligent AI that is being implemented in the new LR CC will be able to do away with the whole aspect of keywording for most photographers. While the new auto-keywording aspect of the new LR CC is impressive, I think that it will only be able to keyword for certain things. I use thousands of keywords and many of mine are geographically based such as names of particular mountains, rock formations, streams, waterfalls, ecosystems, weather conditions, trails, etc.. Many of these have names that you won’t find on a map and are only known by locals. Some of these are things that no computer would be able to figure out just by looking at the image. I think that even if this AI advances beyond all expectation that we will still need a good system for adding our own keywords. For this, Adobe needs to develop a more robust keywording system. I’m already dreading doing my yearly keyword cleanup that I’m sure will take me at least a full day from all the orphan keywords from photos edited in PS and then re-imported. Ugh! I agree that keywords will still have a place for many years to come. But didn’t they ‘fix’ performance in LR6? !! Exactly – but that is what they pushed LR6 on, its improved performce! That was a sham, and one of the reasons why I have trust issues with Adobe. Yeah, I understand that, and I agree the performance improvements in 7 should be made available to perpetual users, albeit without the new embedded preview feature. And actually we don’t yet know whether that will still happen, since there’s at least a 6.13 build yet to come, and possibly one more before the end of the year. I don’t know on that one. To be honest, Victoria, I think people have just given up banging their heads against a brick wall. I know I have. Lr 1 had the bare minimum to compete with Aperture, which on the DAM side just ran rings around Lr, and that was it. Finito. Since DAM features are not usually headline grabbing, Adobe marketing saw no reason to extend or improve. The sad thing is, as poor as they are, they are now the best on the market. Yeah, I get that. If you shout and scream for long enough, you eventually give up. That said, there’s a whole bunch of new engineers on the team who are pretty enthusiastic and are considering old requests with new eyes. That “title is empty” request has been around for years and was finally addressed in this release. So it might be worth a shot. Jeeeeze, long time no-see. Just a differing and very bias opinion considering I despise LR. I think the “best” solution on the market at the moment is definitely Capture One. It just takes a while to figure out exactly how to use what it does effectively for your needs. You KNOW I loved Aperture and wish Apple continued to develop it but… C1 while still leaving out a few things and also not quite up to how polished the Aperture U/I was is quite good and given how old Aperture 3 is now, it’s vastly superior at a few things including “sessions”. For the most part I do all of my work as sessions for many reasons but then pull each session in to a global catalog without relocating anything (each session is in-place and exists forever). In many ways I use the “catalog” feature of C1 much as Media Pro was intended to be used and skip Media Pro altogether. For me it’s a much more compelling solution set and extremely flexible. I’d love that too Brad. I’ve been playing with Capture 1. May be time to get serious. How are you finding stability? I’ve heard lots of reports of it crashing a fair bit. I’ve imported my 2017 catalogue from Lr into C1 and tinkered with a bunch of images. Finding it really stable, it hasn’t crashed on me once. The image quality is also really good, which is probably the most notable thing. Brilliant, I’m really pleased that’s working well for you Alexander. Let me know how you continue to get on over time, as I’m always interested to know what else is going on in the world of photography. Cracking article, thank you. There’s so much scaremongering around it’s great to read something thoughtful and considered. There’s no way LRCC can work for me at the moment. Even with a fast internet connection It took months to upload a fraction of my archive to Photoshelter for my website – and that was just the selects. But as you say, things may change. Meanwhile I’m thrilled if it means they can really concentrate on improving performance and introducing serious pro productivity tools in LR Classic. Touch wood I’ve never really experienced the ‘slow as molasses’ complaints of others but any performance improvements will be welcome. I’m waiting for a quiet moment before trying Classic but in the meantime, slightly by accident ;-), I updated my iPad and iPhone to the LRCC app and was pleasantly surprised by how well it integrates even with LR 2015.12. I know not everything (e.g. Keyword entry) is supported but most of it is. Exactly how the storage quota works is still a bit bemusing but I’m loving the ease of shooting family snaps in DNG on the phone and getting them easily to the desktop as well as syncing selections of Desktop DSLR shot material back to the iPad to play with. So I hope they will not sever the ties completely and continue to preserve that link between LR Classic and LRCC for mobile for those of us that currently need the power of Classic but are quite happy to use a hybrid combination of the two for certain situations. Thanks Jonathan! It’s so nice to hear something positive! Yeah, I think this is just the start. They messed up their marketing, in my opinion, but that’s not exactly a first! LOL I don’t think they’ll remove the existing sync capabilities of Classic, they just won’t add to them. A few quick thoughts about the changes and thoughts about changing platforms. I write this from the persepctive of someone who primarily uses lightroom and ON1 as plug in, and fall into the advanced amature user camp. 1. I generally upgrade when new versions of platforms come out, so I would have paid for a perpetual license for Adobe Classic if that existed. So for me, it just comes down to this being a bit of a price increase. My estimate is this is somwhere between $20-$50 more a year than I would have paid otherwise. That’s a drag, and will make me open to considering other alternatives over time, but won’t necesssarily cause me to bolt. 2. I actually like being able to synch my iPhone photos over to Classic, since I often (while on vacation) shoot with both my D750 and an iPhone depending on the situation. It’s nice to easily be able to consolidate all my pictures in one high end editing platform. Note that On1 also has a remote app, but they are dependent on other folks cloud platforms (such as drop box) for synching space. 3. I’m not as sanguine about just chaning over to ON1 as a way to avoid the new pricing model. They seem to be on a tempo of having full paid upgrades every year (or less in the recent case). I’m comfortable with them as a plug in, although my main reason for using them (easy layers) is not as compelling since photoshop is now part of the cc package. I’m still thinking about it. 3. I’ve found installing on1 a bit buggy. I always have issues that force a hard reset on first install. I’ve also found their tech support to be a bit underwhelming. All of this may change as they gain scale, and some of their features are really nice, so I’m keeping an open mind. 4. I’ve had experience in transferring platforms in the past, which makes me jumpy about moving totally over to ON1. They now have a slick upgrade tool from lightroom. The problem is it would be a one way trip. Just as Microsoft never built a tool to move folks back to outlook from firefox thunderbird, Adobe is unlikely to build such a tool for on1 unless they get much much bigger as a competitor. I’ve lived and learned, after being stuck in keeping two email platforms, before going totally to online only gmail account. Folks may want to jump, but think carefully about it, because it can be a painful return. 5. For now, I’ll stick with lightroom Classic. If CC gets way better, so all the features of lightroom are available, I’m not sure I’d have compunctions about moving over. 6. I’d also love it if Classic allowed one to synch all one’s actual photo’s to the cloud as a backup. Given how much I spend on on premise backup, with another cloud backup to Amazon (which is a bit kludgy), I’d gladly pay $10 more a year to simplify my life, and have only one backup on premise, and the other cloud backup with adobe. Really well thought out response Brad, thank you. You suggested elsewhere in this thread that I submit a request for improved keywording support. If anyone agrees please upvote it. I know this has been raised many times before, but Lightroom needs better keywording support. As a professional photographer here’s what we need. There’s TEN of them – one for each year we have been waiting for improvements. 1. We need an easy way to combe/merge keywords – yes it is possible at the moment but it is convoluted. 3. For stock photographers, we need the ability to change the order of the keywords to put the most relevant keywords first on export. 4. We need the ability to prevent ‘third party’ images or images which haven’t been exported with keywords in a hierarchy from creating new keywords in the wrong places on import. 6. Autocomplete should autocomplete on synonyms and then replace with the keyword it is a synonym for. Again we can’t always remember which is the ‘master’ and which is the synonym. 7. We need to be able to filter for keywords with spaces in the name if I want to filter for “Tower Bridge” I want to see just the “Tower Bridge” keyword not the keyword for every bridge and every tower that I have created. 8. Keyword sets should not be limited to 9 keywords each. It makes no sense. Allowing those sets to be of variable length would make a huge improvement to speed in which we can keyword. 9. We need the ability to work in a larger panel with larger fonts. Managing keywords and metadata in a small side panel with tiny fonts is difficult on the eyes. Many of us actually spend more time doing keywording and metadata than we do developing our images. 10. We need to be able to do keywording in on our mobile devices AND have it sync back to LR Classic. It’s just crazy that it’s now available there but doesn’t sync. We should have our LR keyword list available to us on the mobile devices. Some of us have spent years building up custom taxonomies to support our business. Getting any one of these fixed would make a real difference to professional photographers round the world. LR is 10 years old – some of us, myself included, were raising many of these keywording issues when we were beta testing LR version 1 and TEN YEARS later there has been no improvement. I had really hoped that we could have seen at least some progress by this stage. I am truly disappointed in Adobe on this one. Merging’s a good thing Ian, because it means all the votes added together, which adds weight to the request and it also bumps the thread to recent posts. The number of votes definitely counts, because all of the main features for the last few years have come from the top few requests. If people feel strongly about the kwyroding, go vote!! Sadly I agree with how you feel about these merged posts… I went to make some suggestions about metadata handling of video files, and another suggestion about custom metadata fields that would allow me to categorize my scanned file collection a bit better. Looking through those 7-year old threads with the same requests (some for very simple things) just demonstrates the futility of making some of these suggestions. Now, those threads just mean I don’t even bother asking. For some years now, the headline features of new releases have been the requests with the most votes, so the votes definitely do count. It’s true that some threads seem to languish for years and years, but if they had a lot more votes, they would stand a good chance of being implemented. They do read every post on that forum, and so do I. The threads get merged to try to keep all of the information together, so that once a unique idea gets enough votes to be on the table, they’ve got all of the ideas in one place for internal discussion. I get what you are saying. However, the ‘invisible’ original thread has now had 10 upvotes – these don’t appear to be reflected in the change of votes to the thread into which it has been merged. (The number of upvotes on my original thread has gone up more than the thread they copied it into). This means these votes are being lost and by merging the threads they are actually not getting a true picture of peoples’ views. Because my post is locked – can’t even edit it to tell people to cast their vote on the merged thread. At the top of the thread, it already says it’s been merged and links to the new thread. Merged thread don’t show in the search results so there must be a direct link or two floating around for people to still be voting. As it turns out, I was just able to merge it again (I’m a moderator there) and it transferred 5 additional votes to the merged thread, so the other people had already voted on the other thread too. Feel free to remind me every few months and I’ll repeat, if you see the vote count continue to increase. Thank you, Victoria, I have the original link in my blog post, and in my weekly photography newsletter, both of which are being shared in plenty of places. At the time I didn’t know that votes could be cast on a merged topic and if they could I thought they’d go over to the topic it had been merged into. Yesterday I updated the blog post to ask people to vote on the one it has been merged with, but even despite that a number of the votes went to the original thread. Don’t worry, I’ll remind you again if it looks like it is gathering votes that need merging. As you may have gathered I’m not giving up on this. 🙂 I fear for the future of LR Classic and whether they scap it for LR CC or not pro and stock photographers will still need this functionality. My concern with Lr is in a different direction, the cloud. They don’t seem to be very good at that, and it’s an integral part of the new Lr CC scheme. Remember Carousel? Revel? Maybe that’s why they named the new offering Lr CC. Cloud is not easy; even Apple with its might hasn’t been able to get it right. Even the tiers seem odd; 1TB isn’t that much if they wanna attract people for storage who do a lot with RAWs. They must already know many Classic users have much more than that. Selective synch will help, but synching isn’t trivial, and right now a gradual transition between Classic/CC seems awkward and prone to failure. It’s also odd that another company, Mylio, actually did a better job of this, even if one uses it as just an adjunct to Lr Classic. They offer very robust synching with much more user control, so that one can synch to NAS, other computers, mobile devices, the cloud. And you have a choice of thumbnail, preview or original. And if you need to pass edits and adjustments back and forth it does it super fast, cuz it uses just the sidecars; virtually real time on a LAN. If I wanna pass an edited image from CC to Classic I have to save the whole thing. Adobe should have bought them. Yeah, I get the concerns. I’ve been testing the current implementation for a long time now, and whereas Classic sync was fairly buggy, this has been rock solid. I think the 1TB start is aimed more at newer amateur photographers – and they also don’t need the full power of Classic. Pricing is about the same as other cloud storage providers, but I’m sure it’ll come down in time. It’s not designed for advanced Lightroom users at this point – it’ll grow into that over time. Well – this is a bit of a kerfuffle. I believe LR Classic will disappear. LR CC will be enhanced and gain most of the features of Classic and users will be over the shock so they will be ready for their cheese to be moved again. Say 5 years out. This strategy of splitting their development allows Adobe to maintain their current user while bringing in new ones (yes, some will bail, but they probably would anyway.) Adobe will maintain Classic until most users are comfortable with it. It will have some compelling features over Classic because it is using a more modern architecture that should adapt to the reality of cloud computing. Kerfuffle… yeah, that sums it up. There’s a huge amount of fear, uncertainty and doubt out there right now. Yeah, Classic probably will be replaced in time, but that happens with everything in time. It’s up to us to keep pushing Adobe to include the features we need in Lightroom CC, so we’re prepared when that time comes. Unfortunately, the one thing they can’t change is our access to the internet. For about a quarter of the year I work on cruise ships, effectively I have no internet access when I am at sea. So it doesn’t matter how many features they add to CC I cannot use it, at the very time I need Lightroom the most. Even if I had internet access all the time – I have 237,000 images (4.5 TB) in 5 years time I estimate that will be about 6Tb and over 320,000 images. An I am not even the most prolific of photographers. I just wish Adobe would be honest with us. I can cope with losing LR Classic, but if they are going to pull the plug on it in 5 years time or whenever I like to know, so I can make plans to move to something that I can work with. I’m at the start of a 5 year ‘project’ to go through every image I have in LR and make sure I am happy with the processing, re-editing those I’m not, checking all the metadata is correct etc. Where I can replace PSD images that have ‘backed in’ edits with DNGs with LR processing I’m doing that too. I just feel as though I have had the rug pulled from under my feet. I just don’t know if it is worth doing it, if LR Classic goes then all my work will be for nothing. Or at very least the processing will again be “baked in” and not something that I can go on to change. Ian, Adobe “being honest with us” assumes they can foretell the future. As far as I know, they can’t. Like the rest of us, they pick a general direction that they think is about right, and adapt as they go along. They’ll react to what we do as customers. While they certainly seem to believe their LRCC codebase is the basis that the future will be built on, some years down the line, we have the opportunity to mold what it becomes. Is there a known performance issue with LR CC Classic or it is hardware specific as folks in the Apple Store suggested….Are people w/new fast computers having issues? There are a few reports of new issues, but mainly on Windows. Post it at the Official Feature Request/Bug Report Forum at https://feedback.photoshop.com/photoshop_family/topics/new/add_details?topic%5B as the engineers are keeping an eye on things there. They’ll have a clearer idea of possible causes, as they know the code. I’ve been using Classic now since its release on Windows and on the whole it is much improved, speed it improved and for example, I find I can now carry out spotting after other develop adjustments with absolutely no lag at all, this was impossible in previous versions and was one of the problems I found when using mobile because you could carry out all your edit adjustments when away from the desktop but when you got home again you couldn’t carry out any spotting(which you can’t do in mobile) as it was unusable. I’ve tested this now and its fine. That’s great to hear Richard. They’ll continue working on performance, so hopefully it’ll continue to improve from here. 1) The only “Classic” product I can ever recall surviving was Coca Cola Classic. But it’s worth noting that was only the result of customers having a complete snit about the change. It was never supposed to return. 2) The completely inelegant integration between LrCC and LrClassic. If LrClassic was meant to survive, the cloud infrastructure would have built on/replaced the ‘mobile cloud’ infrastructure. Then we’d have an elegant integration between Classic, New, and Mobile clients with the short term differences being the preferred approach for file organization and location. Their plan was to split those who prefer desktop-based workflows and those who prefer cloud-based workflows, so each program could focus on its strengths. Perhaps they underestimated just how many people who want a serious “foot in each camp”. The most telling aspect about the future that Adobe envision, I believe is in their website and marketing. Everything is focused around the new Lightroom CC app – you almost have to know that Lightroom Classic exists, before you will find it. Adobe is clearly not looking at adding any new Lightroom Classic users! And to me, there-in lies the answer. Any product that is not being actively marketed is on EOL support – which may last a few years. I guess the real question then becomes – where does Adobe see the future of DAM? Yes, I’d agree that they’re guiding new users toward the new app. For the majority of photographers, if they were going to use Classic, they’d be using it by now. Most of the photographers who are just getting started now tend to be thinking much more cloud-first, so they’ve probably got that marketing focus about right. But that said, Lightroom-as-we-know-it has a MASSIVE user base that doesn’t take kindly to changes, and losing those customers would make a noticeable dent in their profits, so at a minimum, they’ll do their best to keep us happy. LRCC doesn’t have any real DAM component at this point, but they’re looking to us to guide its future development, so that can change. I heard a great analogy the other day, that Classic users get to babysit LRCC for a few years. It’s true – we can either ignore it and let it go off and do its own thing, or we can help to shape it into what we want it to become. Are there any statistics available? How may Lightroom-as-we-know-it users are we talking about? I know some of the very new users will be glad to be rid of the import process and the whole confusion between “files, folders, catalogue, collection” and “now all my photos are gone” — and those users will gladly embrace the new Lightroom CC. However, removing that complexity meant ripping out the heart of the DAM basis that Lightroom started on. I don’t know whether it is possible to have DAM as part of the system geared towards new photographers, I don’t know that they will see the value in it. I bought The DAM Book shortly after I bought my first DSLR, so these two have always been closely linked in my mind. And I hated having to babysit my sister… I didn’t ask to get her, I wanted a kitten. Adobe haven’t shared the Lightroom numbers publicly, and I’m not at liberty to share the numbers I was given privately, but it’s A LOT. The last published stats were more than 10 million CC subscribers overall. That’s across various CC programs, but the Lightroom forum is always one of the busiest, suggesting LR is a good chunk of that. And that doesn’t include people who are on older perpetual licenses. The good news is some people like babysitting! 😉 So if you don’t fancy it, that’s ok.
Oh crud, I guess I’d better get up to speed then! I’m still running ver 5.x and just patched it for my new camera. My photo PC rarely goes online because I like a clean machine. I haven’t looked to see how long Abode will support ver 5. When I bought into LR a few years ago, I figured I’d eventually have to go back to using Camera RAW in my processing. LR5 hasn’t been supported since Lightroom 6 came out, so you’re no worse off Phil! Hi. I find this all very confusing. I live in Zambia in the middle of no where. Internet connections are prohibitively expensive so a few years back I bought LR6 perpetual licence. It converted itself to cc about 6 months later and I have never been able to change back so have just lived with, no problem, it works. So what are the recommendations now? Just carry on as is? Thanks. When you say it converted itself to CC, you mean you’re paying monthly for it now? How odd! Well since you’re not paying for a subscription, yes, I’d stay as you are. adobe spoke volumes with the launch of these two ‘platforms’ for lightroom. as a semi-pro photog i’ve been a user since version 1.2x and it’s clear their focus is fully cloud-based which is fine, but it’s impossible to miss all the hoop-la for the new ‘baby’ as mentioned in this thread. it’s also very clear these two platforms will be merged sooner rather than later. to be clear this isn’t about change per se, but about people’s careers, workflows, livelihoods, and most importantly loyalty. i’ve been buying/upgrading/subscribing for ten years and this week now i find out i’m ‘classic’ lol. i can roll with that, but what i can’t roll with is adobe being so dismissive of the customers that have been so dedicated all these years. it’s also telling that i have received countless questionnaires from adobe over the years (which i always completed) and even put my name on the list for followup calls, but i never received anything asking for my input on this transition. I don’t feel entirely reassured about Lr Classic because I am a former Aperture user and, despite their early statements, Apple eventually stopped updating and supporting what many of us thought was an excellent piece of software. I’ve been with Lr CC (oops I mean ‘classic’) now for a while, ever since I moved on from Lr 5 and 6, and I’m afraid this announcement by Adobe has a slight sniff of what happened to Aperture, all over again. Is the new Lr CC the Apple Photos equivalent? Admittedly getting better with time but still without the true power of Aperture. The cynic in me thinks its all about $ for Adobe and the irresistible attraction of appealing to a wider mobile preferred customer base through Lr CC, rather than looking after its loyal users, particularly those without fast internet and who simply don’t wish to store all their work in a cloud. I hope I’m proved wrong! It’s got nearly all of the editing power of Classic already Tim, so I’d say it’s already a significant cut above Photos. I do agree the initial release is targeted at the mobile user base though. Actually with the plugins available from ON1, Nik, MacPhun and others Photos has much of the power of Lightroom in my opinion. The issue for me with Photos is it doesnt store the images in a normal file structure but a proprietary database. IT gets corrupted and you could lose everything because the backups could easily be corrupted as well. Thank you for bringing the DB vs File System issue. One of the reasons I left Aperture (and Apple sealed the deal with their decision) was that I had multiple corruption events in their semi database approach. Thank goodness that one at least had the files packed away and recoverable, but I lost organization and metadata. Then there is the bandwidth issue. Others have mentioned upload speeds. I have a fast connection at ~150mbps down but ~10mbps up. It takes a LONG time to move big chunks of data up. And during major uploads (like conversion to cloud from local) you can’t rely on the simple math. The retry, sleep, pause overhead will make it take many times longer in my experience. Lastly, total data usage. We bump up near 1TB every month with two teenagers and two adults at home using computers and streaming. In a month where I have to upload a batch / online backup refresh, etc. or download one, there goes 1/3 to 1/2 of the allotment in a couple of days. Oops. Full time cloud life isn’t yet there for large data sets and home use. Yeah, I would see internet speeds and bandwidth caps as one of the major roadblocks at this point. 1. People are upset about being forced to “rent” instead of owning. Of all the complaints, this one has the most validity for me, since it is basically a price increase. 2. There is concern that the “classic” platform they know and love may go away. People want certainty. I’m a bit less aligned with this issue. Adobe won’t do something that cuts off millions of customers. More to the point though, Adobe is a very big company. The competitive offerings are not. Any tech platform can go away at any point due to the vagaries of the business environment, but it is clear to me that Adobe has staying power as a company. Look at what happened to Nik. They had a great series of plug ins. They were bought by google. Now, google has EOLed them. Right now, On1 is making a move to capture disaffected Lightroom users, but who knows what the future has in store for them, and what the path back would be like if you migrate to their platform. Life is filled with uncertainty. They could get huge, remain a small player, or be bought out and changed. Who knows what the next five years will bring. 3. My sense is that if Adobe wants to show they are committed to “classic” they should show that they are rolling out substantive improvements over the next year. If they really have an end goal of moving everyone to the Cloud, they have a lot of work to do to add features, and deal with the (at least occasionally) offline users. Either way, time will tell, but don’t make a decision based on the idea that other platforms have more staying power. That is unknowable. 4. Finally, folks need to assess the “eco-system” of support for a product set. We are commenting on your blog, because well, you are the Lightroom Queen! There are also lots of other folks who have helpful advice about Lightroom. It will be hard for competitive platforms to match that level of eco-system support. It could happen, but other platforms would need to get much bigger foster that type of attention. Yeah, that’s a good summary Brad. And yes, although everyone’s up in arms right now, it’s great to see that kind of passion for Lightroom. I don’t like the direction Adobe is taking and will not be going along. I will have to look for an alternative to LR unfortunately if they give up perpetual licences. It isn’t an easy decision for me as I have invested a lot into LR education, both timewise and financially. Sadly there won’t be any further perpetual licenses, but Lightroom 6 remains on sale, and if you already own it, it’s likely to carry on working for some time. Victoria, thanks for the info but I see the future of Classic differently based on 35+ years of software sales. Adobe told us they would never not have a perpetual license for LR. Less than 2 years later there will not be a Lightroom 7. A large percentage of LR users only use LR. I’m one of those. I will not pay a subscription price for LR at $10 because I never use PS. $120/yr is too high a price for LR usage only. My feeling is LR Classic will slowly die out because Adobe like many other companies is becoming a Cloud PROVIDER and intends to make a majority of its business that way. If you look at Amazon it makes more money for its cloud hosting services (AWS) than it does in its store. Companies like Oracle, IBM and Adobe want to make their money that way also. I know the guys that started Adobe years ago and i sure wish they were still in charge but times change. Right now the issue for me is where do i go now? I’ve been looking at ON1, Affinity, MacPhun etc as solutions but they have issues also with buggy software and less than stellar pricing. I think subscription pricing for classic at $10/month is great IF you use PS too. Otherwise it is a no brainer. And unfortunately it will be the 2nd time for me as I had to migrate 400k images from Aperture to LR two years ago. What a pain. Would you believe it Ed – that was 4 1/2 years ago that they made that statement, on May 6, 2013. Doesn’t time fly! At the time, they picked their words carefully, so they didn’t actually promise forever, but many of us read it that way. You’ll have seen lots of changes in your 35 years of software. I’m sure you’re right that a time will come that most users have moved to the cloud service and Classic is not longer profitable, but for as long as the vast majority of photographers won’t (or can’t) move to storing their images solely in the cloud, do you really think they’ll throw away all of those customers who are still willing to give them money for desktop-based software? Time will tell but software companies make big mistakes all the time. Often it puts them in a position they are either purchased by another company (and ransacked for the technology – i.e. Nik) or they are gone. I can tell you my last company is the biggest software company in the world. Its revenue was based on selling large databases and applications to big companies with perpetual licenses for millions of dollars up front (biggest one i ever worked on was 2.5B), 5x times that in installation costs then yearly maintenance at around 20% so you essentially repurchased the software every 5 years. CEO of my company stupidly made a statement in a shareholders meeting that we could stop selling anything for 13 years and would still be profitable based on maintenance renewals. My customers hated being held hostage but the huge investments they had made would make changing to another perpetual software companies offerings untenable. Now comes out what is called SaaS software which is Software as a Service. You dont own the software you rent it for a period of time. That is what Adobe is doing but due to the pricing levels you make a fraction of what you make with perpetual licenses and support. So you have to sell a lot more subscriptions than perpetual licenses. Something like 3x to 5x. And you are at risk because it is really easy to say, I’m Done , moving somewhere else. So you have to make up the difference somewhere. Which most companies like Amazon, Microsoft, etc are looking at Cloud storage as the solution. Amazon makes more $ on AWS there cloud hosting environment than in their store (before they bought Whole Foods. I dont know if that changed the equation that much). Microsoft packages Office as both a perpetual license and a cloud license. But their kicker is their cloud storage costs. I have no problem with paying microsoft $10/month for a family license of Office365 as it would cost me more than that if purchased the perpetual license for 4 computers. But i dont use their cloud service because i can use backblaze for $5/month unlimited storage (including all my images btw). Support is the missing factor in Adobe’s perpetual licensing so they only get revenue when you purchased a new major release. This is the prime pricing schema for most of the software in the photography vertical. Where On1 and MacPhun are getting hammered right now is because they are both releasing paid upgrades too often plus having stability issues with their products. Topaz gives you lifelong licenses but as you said that doesnt mean forever. If they stop developing or supporting a product you are sol. The problem with Adobe’s SaaS pricing is its way too expensive for a LR user only. $120/year for LR is about 2x to 3x above what you would expect to pay for a perpetual license upgraded every 2 years (which was there upgrade schedule previously). So many users of LR feel the same way and we are heading for the door right into the issue of where do we go? I will continue to use LR with plugins until i feel that some of the other products i already purchased become stable and price effective at which time i will pull the plug on new processing with LR just like i did with Aperture. btw the reason companies wanted to get off the Adobe Flash and Java bandwagons were much more to do with they were huge security issues. Most of the attacks come thru those two products. HTML5 is much more secure… Hell one of the companies i worked for owns Java and we have very restrictive rules about its use behind our firewall. the move to the cloud will crash if ISP costs get too high, will crash if the software companies revenues don’t grow using SaaS and cloud services pricing, and if there are security issues with putting all your data in the cloud. I felt it was a premature move for my company and i left because i knew i could not make the money i was used to selling SaaS to my customers who really didn’t want it. I foresee Adobe will find out that getting pennies on the dollar will not go well in the long (and maybe short term) but Adobe is what we call a BOSE (Big Old Slow Expensive) company and they aren’t listening to their customers right now. whew sorry for the mansplaining as my daughter calls it. But this was my business for years and my opinion is software is a mess right now so its not a surprise it is a mess in our vertical as well. I would wager that as long as Photoshop is not cloud based, we will probably have some sort of non cloud based Lightroom as well. 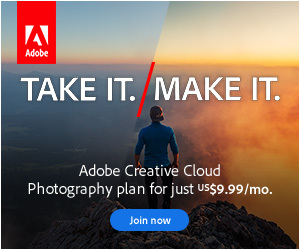 Adobe knows that too many photographers are using these two programs together to complicate things and lose their core. The name choice was a bad thing and I wouldn’t be surprised if by this time next year, we have seen another change in that as well. Adobe likes making money. They would do anything that is going to cost them money. Plus, there are many photographers that don’t have access to the kind of bandwidth that would be needed to go cloud based and adobe knows this as well. It’s funny how quickly a new name becomes “normal”. I remember when they changed the name of my favorite chocolate bar, and I hated the name to start with, but I can’t remember the old name now. I can’t help but wonder if the same will happen with Lightroom eventually. I am unlikely to ever pay monthly subscriptions. Paying US dollars (I’m in Canada) makes it even worse (right now). If I would consider paying for upgrade every couple of years. I use LR 6 perpetual license now, but only for last year. I do not want cloud based. So adobe just may not keep me as a customer. I’m sure I could keep using LR6 for years and enjoy the features. But when you know there are improved features out there, well it’s a bit like gear-envy. You can end up feeling unhappy with what you have… with only the greedy money-grabbing brand to blame. I’m okay for now but no trust whatsoever. And if some competitor in future has better product I can but without monthly subscription.. well then it would be Adobe’s loss. I am certainly more reluctant to recommend now. You’re absolutely right, there’s always something new and shiny out there, especially in the world of technology. I have never seen a company that created so much hate amongst so many of its customers as Adobe has done. They really work at it. They mistake their customer’s stickiness for satisfaction and loyalty. The stickiness results from a (temporary) monopoly. Shortly, one of the pretenders, perhaps Luminar, will assemble an adequate package (and transition software) to approximate Lightroom functionality. Then, like if someone yelled “bomb” in an airport, you will see a stampede. The Adobe executives fluffing their options packages via their temporary monopoly power know this, but I doubt the rank and file have a clue. It’ll be really interesting to see what happens over the next few months and years Bill. I think you’re right that the other companies will try to jump into Adobe’s shoes, but that extra choice can only be a good thing for us as photographers, so perhaps Adobe’s done us a favor here, whichever way it goes. Thanks, Victoria. As always, a voice of reason and logic. As in the past you have been so helpful; so it goes into the future. Some will aways pick on Apple, Microsoft, Adobe, political people, etc. It is our nature to be skeptics and live in our own realities. Life is good. Thanks for your words of wisdom, and EXPERIENCE. Thank you very much Bob. I completely understand why everyone’s so upset, but eventually we have to calm down and assess things a little more logically, because emotional decisions are rarely the best decisions. The small touchscreen found on mobile devices is incompatible with the finely detailed adjustments that can be made on a desktop computer with the original Lightroom. That is true not only because of the small size of such screens, but also because of the limits of fingertip control. That should be obvious to everyone, including management at Adobe. But the latter have stars in their eyes. They look at the mass market owned by Apple and Google, for example, and think, “That could be ours, too, if we could only reach the critical 18-35-year-olds.” So, they came out with a dumbed-down interface. They will be hoisted by their own petard—it’s only a matter of time The young people they seek don’t need the cost and sophistication of Lightroom CC. They can clean up their selfies perfectly well with the photo editor that comes, free, with their cellphones. I’d have said the same thing a while back Ron, but I’ve surprised myself. I don’t edit on my phone much, but I like the convenience of photos I shoot on my phone automatically getting back to my desktop catalog. The iPad has actually become my favorite tool for flagging photos, even if I have access to my desktop computer, although I still do most of my editing at the desktop. I just started using the merge feature in my desktop Lightroom for gorgeous HDR images. That’s only one of many great features in the desktop version that I’d lose if I migrated to the mobile version. For what? The minor convenience of phone photos automatically appearing in LR? C’mon, Victoria, gimme a break. Yes, that’s how I think of it: mobile vs. desktop. The other issues—cloud vs.desktop and perpetual license vs. subscription—are minor, as I see it, compared to the humongous difference in functionality between mobile and desktop. Oh yes, at this stage, there’s a huge difference in features. I’m sure that’ll change in future though. HDR is top of my missing feature list too. The LR icon with the rounded corners now appears beside all my Portfolio posts, in place of the original icon with the square corners—one more indication, however small, that Adobe thinks of the new mobile version as a replacement. The following note appears on Adobe’s page (above) about migrating from Lightroom Classic to Lightroom. It reinforces my conviction that the new Lightroom interface is dumbed-down, and will continue to be so, for two reasons: 1) the limitations of a touch-screen interface, and 2) a marketing goal aimed at the 18-35 demographic. I’d add Develop history states to that list, and color labels convert to keywords. I am University student and my hobby is photography and I use LR … well it is very likely that using LR will a thing of the past. As student and possibly this also applies to many people who use LR for their hobby, I cannot afford or justify the $10 per month … actually $15 per month for I am an Australian who gets hit with a poor exchange rate. I don’t make living with LR, I cannot claim it as a expense against the meagre income I make. Maybe if they offered a student discount or offered a daily-use-price – the latter would justify a once a week or once a fortnight usage – then I would go with Adobe’s model. But the monthly rate is just a rip-off for a student or a casual user so I will now consider going down the painful and regretful path of looking for an alternative. Adobe are fairly arrogant or silly aren’t they? They’ve made a business decision. We won’t all like it, but they have a choice over what they want to sell, just as we have a choice over what we buy. We each have to make the right decision for us. As a student you might be able to get a cheaper price from Adobe. Like many others, I see Adobe’s name change as an ominous indication of the direction that Adobe is planning to take its software in the future. I echo the thoughts of Ron Cohen: Adobe is aiming at the mass market of consumer cameras on phones and tablets at the expense of the professional/serious amateur photographer. Here is my concern: I already subscribe to the monthly Adobe photo plan. That is fine. I am happy with the subscription model as it is currently implemented. The software is on my computer. My photos are on my computer. The software checks periodically with the mother ship to make certain that I have a legitimate license and to get updates, but otherwise, I am independent. I do not want my photos in a cloud. I do not want to have to have an internet connection to access software. I do not want to give up my elaborate and elegant keywording and organizational structure. Most importantly, I do not want to have to take meticulously edited raw images and transport them to some other system, losing all the work that I have done in that process and having to switch to some other incompatible “non-destructive” editing system. I am in the process of migrating several 10’s of thousands of photos from Aperture, Apple’s professional photography application. Apple’s Aperture preceded Adobe Lightroom and provided an elegant organizational and editing framework for photographs. That development spurred Adobe to action a year later. I was an early and enthusiastic adopter of Aperture. Unfortunately, Apple decided that the professional photography market was just too small and Apple announced the end of life for Aperture in 2015. It still works in the current operating systems but there have been no improvements and no further developments of its editing tools. Aperture’s interface still is far more elegant than Lightroom’s in many ways, though the editing tools in Lightroom have advanced beyond those of Aperture. I decided that I was forced to migrate to Lightroom for my photography future. Here is the rub. Although Adobe advertises that it has provided tools to ease migration from Aperture to Lightroom, it is impossible to transfer the original raw images with all their edits to Lightroom. The system of storing changes is different in Aperture than in Lightroom. I have been faced with the decision to either convert all my edited images to TIFs representing the final image from Aperture or to transfer the original RAW/DNG to Lightroom then repeat the editing that I have already done on the original. This has so far taken me 14 months and I am still far from finished. I continue to add new photos and that takes precedence over the repeat efforts involved in the transfer. The bottom line: If Adobe abandons the current professional market or forces movement to some inferior system as they pursue the low-end mass market, this will cause great pain for anyone who has relied on their system and their reputation for dedication to the professional market. No amount of alternative professional software can make it easy to transfer from one system to another without intimate involvement by the original company. And that would go against Adobe’s self-interest. Their hold on this market is the proprietary system of storing the edits in their system and the difficulty of anyone moving out of that environment without Adobe’s explicit blessing. All this creates a tremendous concern on my part. I moved to the subscription model for Lightroom a few years ago (when the Photography Plan first came out) after owning perpetual versions of the software before that. I still had a perpetual license for LR5. With the split into two products and the rename of the professional, fully featured system to “Classic” and the obvious drive towards a more cloud-based system (which I am not interested in), I made the decision to buy a Lightroom 6 perpetual license while it is still available (even though I have a brand new subscription). My main cataloque will remain in LR6 for my main workflow, keywording, etc. I can export this catalog to Classic to use the additional functionality (such as dehazing that was added in the CC version of Lightroom 2015 only, or the new range masks or any of the promised new functionality). That concern is understandable John. There’s one factor in our favour here though, compared to Aperture. For Apple, Aperture was a relatively small element of theirs business, for a comparitively short length of time. In contrast, the Camera Raw plugin that drives Lightroom has been one of Adobe’s key programs for many years, as has Lightroom itself. So even if Lightroom died one day, the edits are almost certain to live on through Photoshop, Lightroom CC, or whatever followed. As a sidenote, I just found out that NIK, which I thought Google was killing, was just bought by DXO. The plug ins live! Hopefully the Lightroom Classic platform will continue on for a good while so I can keep using them….especially their black and white capabilities…..
Isn’t that great news Brad! Interested to see what DXO do with it. As a pensioner of advanced years I will certainly NOT move to a subscription model – and with a maximum fibre broadband speed of around 5Mb I will not even consider using the cloud for anything. At present I am on LR5 and the only question for me is that, if Adobe are imtending to kill perpetual licences should I upgrade to LR6 while I can. I haven’t a clue what useful advantage i would gain. By the way – I believe that there is an open source program that is the poor man’s Lightroom. Yes in your case buying Lightroom 6 makes sense if it is still available. Otherwise you are looking at all the choices out there like On1, Topaz, etc which will drive you crazy.. I know it is me. I’ve told Adobe Lightroom 6 will be the last $ they get from me unless they continue to come out with perpetual Lightroom licenses or make a subscription price for just Lightroom at a reasonable cost. I don’t expect either. And on1 is getting really close to what I feel I need for both a DAM and Photo Editor product. Sorry – that should have been 15Mb broadband not 5Mb. For me the biggest problem with LR5 is not its lack of new toys but the fact that not everything works on the latest Mac OS, or so I have read on this forum in the past. I’d love it if somebody could tell me otherwise. I have slow broadband and also do not wish to go to subscription. Is there much benefit in buying LR6 in terms of compatability with the latest Mac OS? At present I am still running El Capitan because it is fully compatible with LR5. All help appreciated. If ever there is no longer a version of LightRoom that comes with a perpetual license and lets the photographer keep control of their images by storing both images and catalogue locally then I would like to see LightRoom users join me in abandoning Adobe completely. But I do not hold out much hope. The lesson for the future is to never let your hobby or business become so entwined with complex proprietary software to such an extent that it is easier to go along with unwanted changes than to just stop using it. I completely agree. The product naming is the dead give away Lightroom is the future Classic is to be retired once enough people switch. In a dreamworld they would build up all the features and everyone could switch. Sure many hate having to learn things, but many others want a modern version they just don’t want to lose functionality when moving forward, only gain functionality. Adobe will continue to add features to Lightroom and Lightroom classic but only the minimum. For classic the minimum to keep people from considering leaving for an alternative..such as once Affinity launches their previously touted DAM). and for Lightroom CC, they want to add as few features as needed to get people to switch so it’s less bloated and less work for them. I don’t think there goal is to add all features from classic unless their userbase demands it and their is competition from say Affinity or Apple that requires them to pickup the pace. Based on this approach of there’s I think there will definetly be a competitor people will switch for that embraces best practices and feel Affinity has the best chance at that based on the apps they have released so far. Apple could as well but they have made it pretty clear they are leaving the pro software area since there simply enough pro customers to make it worth all the effort.